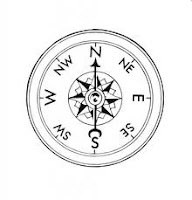 An ordinal, or intercardinal, or intermediate, direction is one of the four intermediate compass directions located halfway between the cardinal directions. Masonically, we sometimes discuss a ninety degree angle or the fourth part of a square. This may illuminate interesting parallels with degrees and directions. 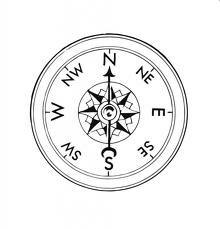 The fourth part of a square is ninety degrees, which corresponds with "East" in the model above. The place of darkness corresponds with both zero and 360 degrees. The degrees may have others significance as they correspond with the path or position of the Sun by East to South to West.